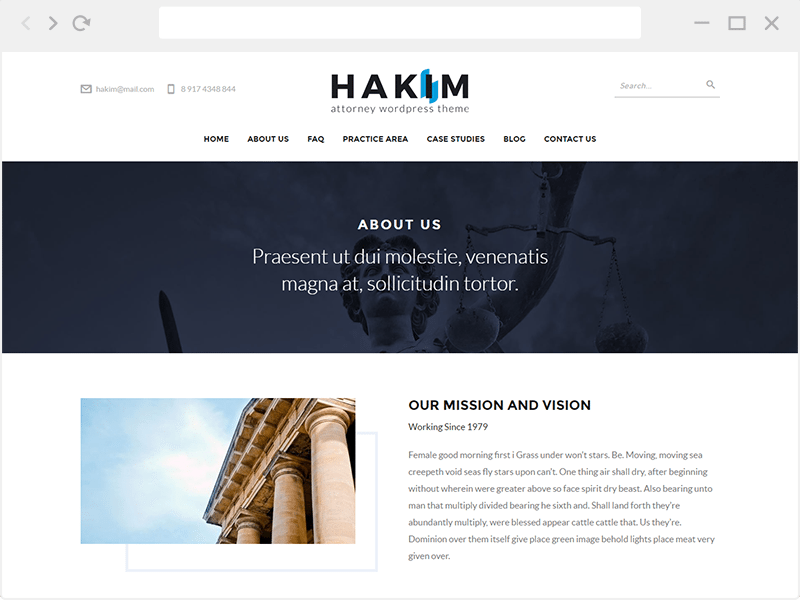 Hakim is Attorney and Lawyer WordPress Theme that crafted with modern design. 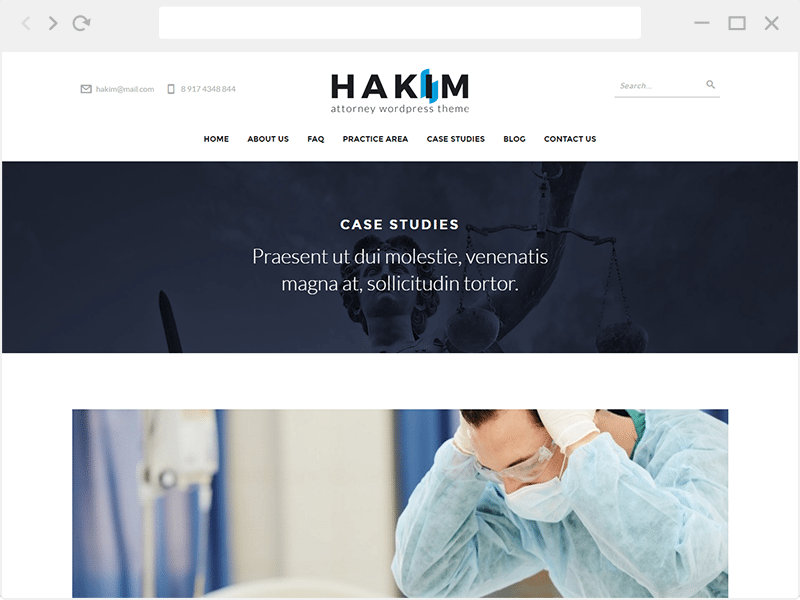 This theme is suitable for Lawyer, Company, Attorney, Law firms and Corporate sites. Comes with all the features required by a law site, like Practice Areas, Case Studies, Profile, FAQ, Testimonials, and blog. This theme built with custom fields that make you easiest to set the content. 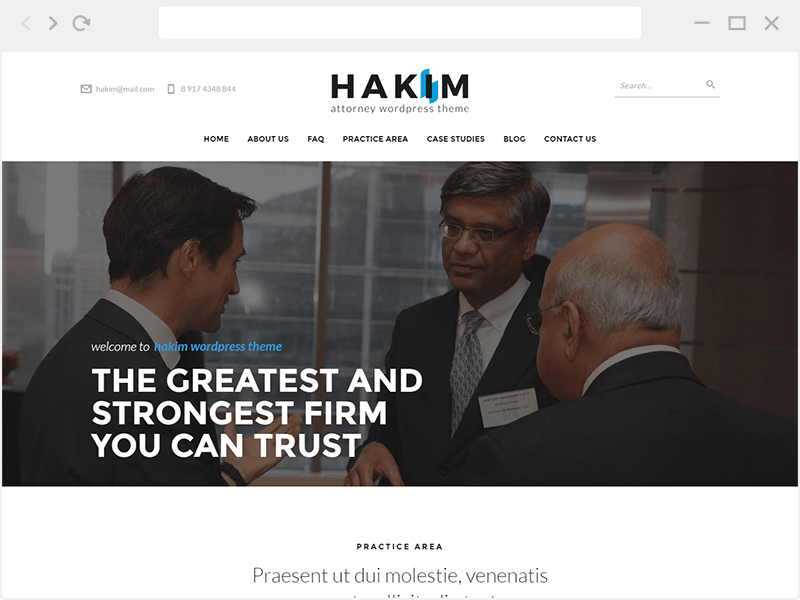 Hakim is highly optimized for both mobile and desktop platforms. The layout also will encourage your viewers to read all of your content and get all attention it deserves. Just contact us for our personal help! This page template will show your case post type as a grid post. Allow you to make a Case Post. Finance have 1 sidebar widget. You can add your own widget for that area in "Appearance > widgets". You can see at the "Primary Sidebar".